Discussion in '5th Gen 4Runners (2010+)' started by Linuxr, Feb 4, 2019. 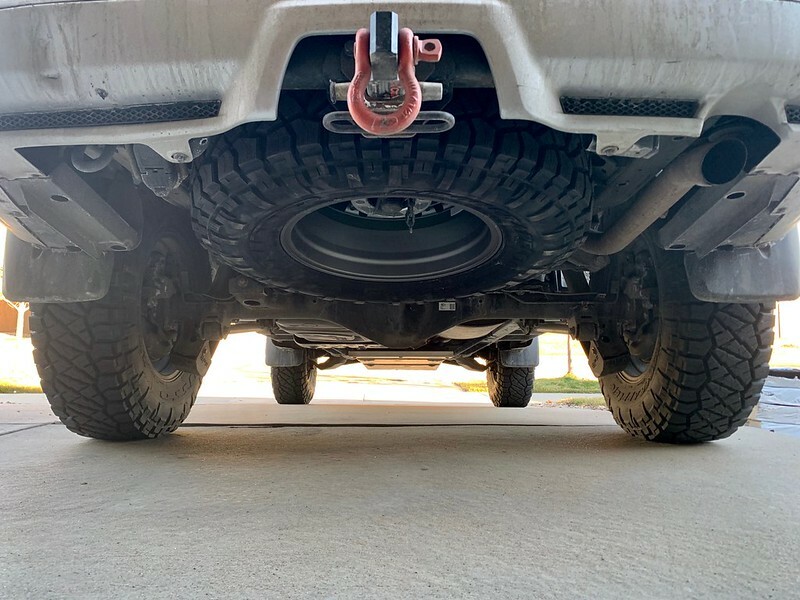 Anyone know if a trd pro rim with a 255/75r17 tire fit in a 2018 limited spare tire compartment? Should fit no problem. That tire is only .5 inch more than stock. 255/80/17 on a TuRD Pro wheel in place of the factory 20” spare on my Limited. AVH128AVH128 and WallyT4R like this. Nice. Now I only need one more Matt grey trd rim. Know any where to get one used? Which hitch shackle is that? Can you please show side pictures of your limited with TRD wheels.